It’s at the top of every nutrition expert’s must-eat list, but why? Learn how kale benefits your goals for a healthier diet. Like many dark leafy greens, kale can be eaten raw in a salad or it can be sautéed, roasted, blanched, braised, or steamed as a nutritious side for a healthy dinner. No wonder it’s been dubbed by health and nutrition experts as a “superfood” over the last few years: Kale benefits your entire body, from your bones to your heart to your digestive system. Kale is also versatile, easy to prepare, and delicious, so if it hasn’t found a permanent place on your weekly grocery list yet, now might be the perfect time. Let’s start with some facts: Kale is a member of the Brassica family, a group of cruciferous vegetables that also includes cauliflower, cabbage, and Brussels sprouts. Kale is native to Europe and Asia Minor and has been grown and eaten for nearly 4,000 years. While there are many varieties of kale with colors ranging from dark green to pink, the most common types include curly, Lacinato, Salad Savoy, and Red Russian. One cup of raw chopped kale contains 33 calories, 1 gram of fiber, 7 grams of carbs, 2 grams of protein, and 29 mg of sodium. Each serving also comes with adequate sources of vitamins A, C, and K as well as calcium and iron—but a little more on that later. Here are seven ways that kale benefits your health. #1. Kale can lower your cholesterol. The Brassica family of vegetables contains over 40 phenolic compounds that help fight many serious medical conditions, including high cholesterol. A recent study found that male patients with high cholesterol saw a 10 percent reduction in LDL levels after drinking kale juice. This is due to kale’s ability to bind to bile acids produced by the liver. This binding causes them to be excreted by the body instead of being reabsorbed. As a result, the body uses stored cholesterol to replace the lost bile acids, thus causing a reduction of cholesterol. #2. Kale benefits your bones. #3. Kale might help prevent and fight cancer. What researchers did find was that when eaten, cruciferous vegetables are broken down into active compounds that have been frequently tested for their anti-cancer effects. Animal studies have shown that these compounds can protect cells from DNA damage, deactivate carcinogens, prevent inflammation, and more. #4. Kale benefits those living with diabetes. 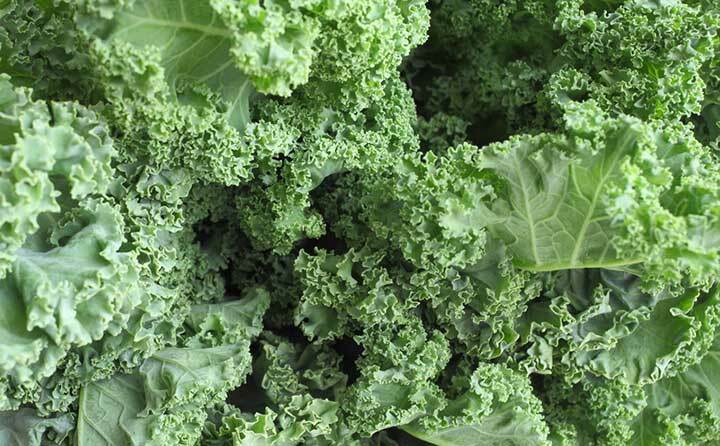 Besides being rich in fiber, which is always a good choice for diabetics, kale is also rich in lutein and beta carotene. These support health of the eyes, which can suffer damage resulting from diabetes. It also contains a high amount of potassium, which can help lower your blood pressure, and manganese, which can help control your blood sugar levels. #5. Kale fights against inflammation. In addition to protecting your bone health, vitamin K is known for its anti-inflammatory properties. Kale is also rich in omega-3 fatty acids and the antioxidant sulforaphane, both of which can reduce inflammation. #6. Kale can help detoxify your body. Kale is a good source of potassium, a mineral known to have alkalinizing properties. Your body’s able to eliminate more toxins when your urine contains more alkaline than acid. Many nutrition experts recommend using soups and broths to naturally balance your body’s pH levels, and kale is often a main ingredient. #7. Kale serves as a natural appetite suppressant. Kale, as well as other dark leafy greens, naturally contains thylakoids, which scientists discovered in the early 1990s could be used as an appetite suppressant. Studies show that meals rich in thylakoids reduced insulin levels, which when raised, can cause reactive hypoglycemia followed by hunger a short time late. 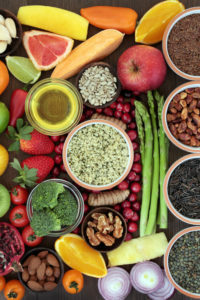 Studies also found that thylakoids can reduce levels of ghrelin, known as the “hunger hormone,” and significantly increase levels of leptin, the hormone that tells your brain that you’re full. Remove the stems and ribs of fresh kale before cooking. Keep fresh kale cool and dry in your refrigerator. Don’t wash your kale until you’re ready to prepare it. If you like your kale extra crispy, try baking it on low heat in your oven for 20 to 25 minutes. Is the taste of kale too bitter for you? Try massaging it with an avocado before eating. Learn more here. In a large pot, melt the ghee over medium heat. Add the onions, celery, carrot and ¼ teaspoon salt. Cook for 5 minutes until tender. Add the tomato paste and curry powder and cook for 30 seconds while stirring. Add the red lentils, kale, water, ¾ teaspoon salt, coriander and cumin. Bring the liquid to a boil. Then reduce heat to medium low, cover the pot and cook for 15 minutes or until lentils are tender. In a small bowl, stir together coconut cream and lemon juice. Serve the soup chunky or puree it in the blender for a smooth and creamy texture. Top with coconut cream mixture and diced onions, if desired. Each serving contains 135 calories, 4g total fat, 3g saturated fat, 0g trans fat, 1mg cholesterol, 326mg sodium, 19g carbohydrate, 4g fiber, 7g protein. add, anti inflammatory, antioxidant, appetite, appetite suppressant, beta carotene, blood pressure, blood sugar, blood sugar levels, bone, bone health, bone health vitamin, brain, brassica, calcium, calories, cancer, cancers, cauliflower, cholesterol, cholesterol lowering, cooking, coriander, cruciferous vegetables, cumin, detox soup, detoxify, diabetes, diabetics, digestive, ed, fiber, fight cancer, food, ghrelin, gluten, gluten free, health, health and nutrition, high cholesterol, hormone, how to lose weight, how to lose weight naturally, inflammation, insulin, iron, kale, ldl, ldl levels, leptin, Lose Weight, lower cholesterol, lower your blood pressure, lower your cholesterol, medical conditions, natural appetite suppressant, nutrition, omega 3, omega 3 fatty acids, osteopenia, osteopenia and osteoporosis, osteoporosis, osteoporosis treatment, potassium, Prostate, protein, reactive hypoglycemia, recipe, reduce inflammation, smoothie, studies show, sugar, sugar levels, supplement, to lose weight naturally, to lower cholesterol, toxins, trans fat, vegetable oil, vegetables, vitamin, vitamin k, vitamin k supplement, vitamins, your bones.